Available in 1 oz, 3.4 oz and 16 oz jars. 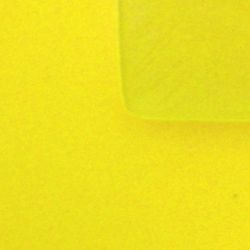 Brite Yellow is one of the three "D" series colors in the Original Colors line. The colors in the "D" series are manufactured in a powder form and the "D" indicates that these colors contain cadmium and may also contain lead. Brite Yellow fires to a glossy, rich deep yellow color that is opaque. Apply in "puddle, push, pull" technique for even coverage. Color are mixed with Medium and should be the consistency of whole milk or cream. They should self-level when applied to surface. Semi-transparent watercolor effects can be achieved by thinning with water and applying color allowing it to run or to disperse on the surface. Note that the "D" series colors can ONLY be mixed with each other to create varying shade of reds, oranges and yellows. Can also be mixed with our Layering Mix for Pouring Enamels and other techniques. Color stays true when fused between layers of glass. Contains cadmium but no lead.